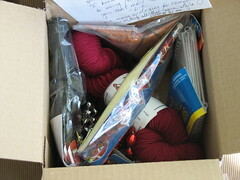 It's my football swap package. 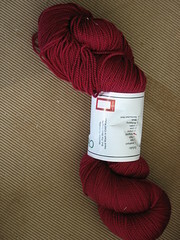 First, there is this gorgeous Burgundy Cherry Tree Hill yarn. And then there are all the football goodies! 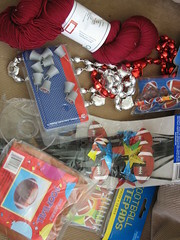 Beads, Redskin tacks, inflatable football, football notepads and party goodies! Yay! 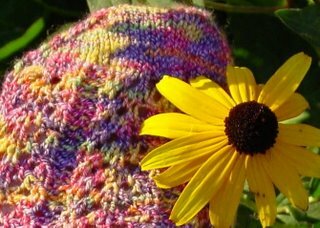 So, thanks so much to Liz! Great swag! Even if it is only for football ;-D. Now if that were a hockey swap . . .